Join Dena Totaro in this special 4-week Spring Detox Yoga series where she incorporates her knowledge of healthy foods, yoga, breath-work, meditation and crystal energy healing as a multifaceted program for cleansing, clearing, detoxing and rebalancing. Each week, you will focus on one major energy center through alignment-based asana (physical yoga practice), breath-work and meditation. 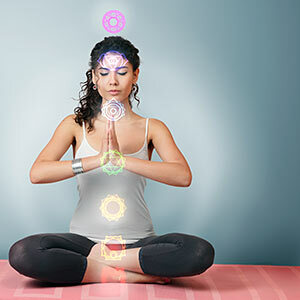 At the end of each class, during the integration process of Savasana, Dena will help you further clear energetic imbalances through individualized crystal healing methods. This week we will work on communication, strengthening your voice, speaking one’s truth and self-expression. This week we will work on opening and freeing the heart and letting go of feelings and emotions that do not serve us to filling up more love and compassion for ourselves and others. Igniting the power within! We will work on life purpose, self-respect and clearing any self-doubt and strengthening the core. Feeling unfocused, spacey or incapable of being still? We will focus on becoming more grounded, rooted and connected to Mother Earth. Crystal: Black tourmaline (black tourmaline is a powerful grounding stone, providing connection between earth and human spirit).